Having recently been graced with a beautiful Blessing Way ceremony to prepare our hearts and home for the arrival of a new soul, I am drawn to discuss here various technical issues that interfered with the organisation and have left me wondering if OC was involved. WIthout going into too much detail, the main issue was that some email invites weren't received even after re-sending, and when I tried to text someone to check she had heard about it, the phone froze up (which at the time I took to mean everything was fine and to relax about the whole thing). Even an email to the lady organising this ceremony for me - in which I checked if she had heard back from my friend - disappeared. Obviously, I have checked the practical side such as correct email address etc but one special person was left out. Coincidentally (?) I have been trying to release feelings of being 'left out' recently and suddenly I find myself 'doing' this to someone, in spite of trying to take measures to avoid it. I'd like to add that the ceremony was a very special and healing gathering of beautiful women which was not spoiled at all - Benevolent Consciousness prevailed - however I'm left wondering about the strange events and the link with my own 'issue'. Any comments or similar experiences anyone? It could be because there was an intention to create something, rather than following the flow of what wanted to happen naturally. Even though as you say it turned out to be a 'special and healing gathering'. Still, was it what was meant to happen? We can only know by confronting the places where mind and desire take over from selfless creation. I remember well when Trinity and myself got 'married'. We spoke about it with close relatives, but as the energy began to build a sense of obligation and others personal investment in what did or didn't happen, it felt like the flow was being interrupted. So we let it go. Some while later, although we were in different locations at the time, we both experienced a pull to go to the Chalice Well in Glastonbury. Whereupon a divinely beautiful ceremony took place, totally spontaneously, guided by spirit but we the only two embodied souls. Since you ask, maybe there's a reflection in it? I think there probably was an element of 'forcing' it to happen, and going along with what others wanted for me. That's probably true. I did question if it was meant to be when all the emails started not arriving, but let myself be talked into it as it was a beautiful offer from dear friends. So hard sometimes to feel the pull. Thanks for sharing about your wedding - it helped to understand the situation. Regarding the 'being left out'... there is a reflection here but I don't know what to do with it. 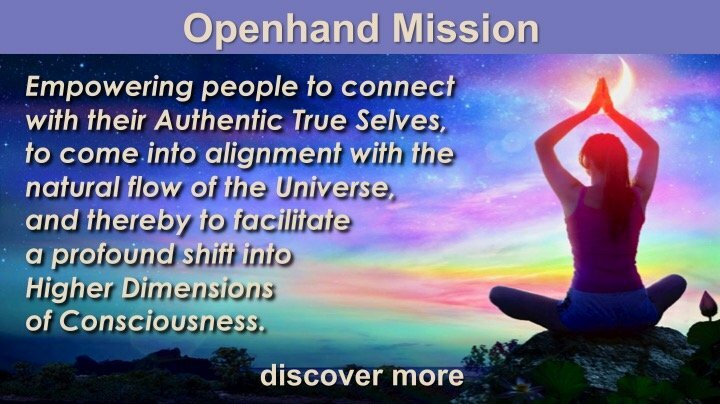 I have tried the openhand way of surrendering into the feeling and trying to come through it into a place of light, but I am still getting repeated occurrences of it and now have done it to someone else. I think I need to consciously practice gratitude for my life as it is right here and now and forget about friends. But that is hard. And just writing that brings up a lot of sadness / resistance. I am truly attached to my friends and wish I could see them (no-one lives closer than a 1hr30 drive). But our life seems to be here where we are right now. I've neen stuck on this for a few years now and it's driving me mad! Maybe it all boils down to a kind of homesickness, this yearning to be close to friends and to live in a community. Also, the big sadness that wells up in me at times cold be that too. You're never separated from those that you truly love. And in any case, they are simply reflections of an aspect of you. If I ever feel separated from someone I love, then I simply feel the love as deep as I can, then I take it back inside of myself. That way I never feel separated or even really miss them.